SILKY SMOOTH TO YOUR SKIN. 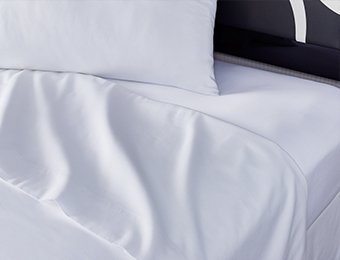 Evening forecast: a silky-smooth night’s sleep. 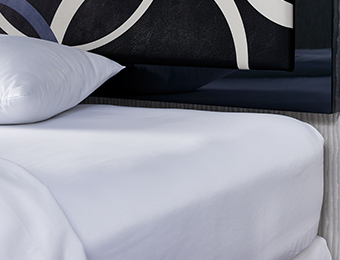 Premium softness from the minds of Frette straight to your head. Super chic when you fold it over our embroidered duvet cover. Prepare to hit the snooze button repeatedly. 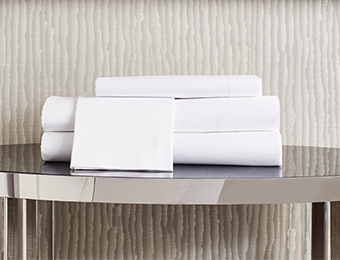 Just what you need to smooth over a rough day—sateen linens by Frette for Kimpton hotels. 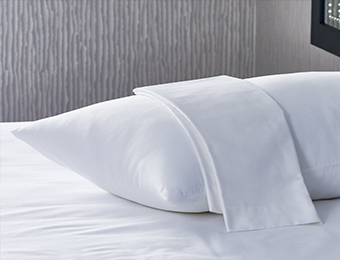 Get the luminous sheen of pure white 100% cotton in a flat sheet, fitted sheet, pillow case pair or everything together as a set. Have them on hand for every bedroom in the house.